Capturing the facial expressions of people is one of my guilty pleasures. They are fascinating. Often while waiting for someone or some event, I observe people and find it a delightful hobby. Their facial expressions, the way they move, the clothes they are wearing, who they are with and what they are doing can be clues to who they are, what they are doing and why they are doing it. My observation skills were sharpened further when I became a nurse. Observation of my patients, their expressions, skin tone, fidgeting, tone of voice, the way they moved, their reactions to the medicines or treatments must be done to help them were all clues that could help me prevent a little problem from becoming a big problem! The faces, eyes, and body language can portray so much about what people are feeling. The following are pictures I took on various occasions. I hope you enjoy them as much as I did capturing their expressions. Little girl in awe of boy’s feats with small fan. This boy had been moving a small hand held fan back and forth on the glass. The sea otter followed it repeatedly wherever the boy moved it. 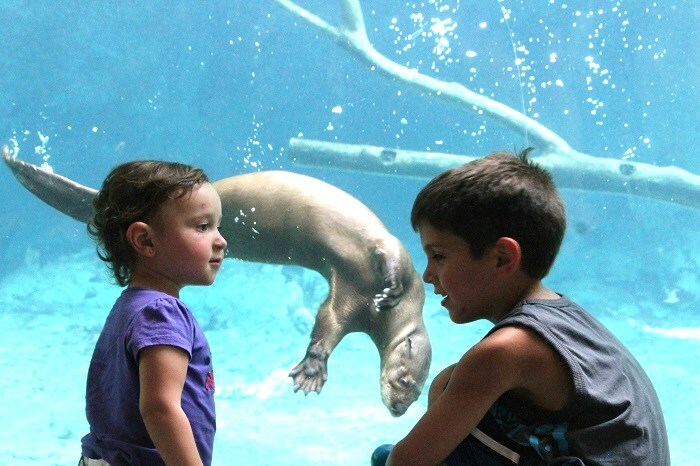 This little girl was so amazed at the “magic” the boy used to make the otter go wherever he wanted. I loved her expression of wonder and respect. 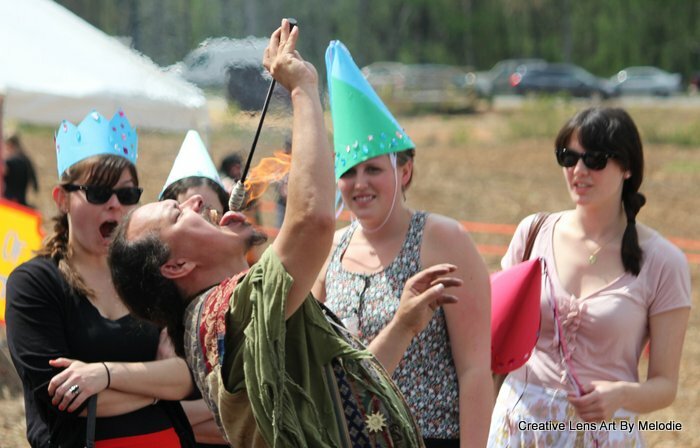 This fire swallower was performing at a Renaissance Fair. He was quite funny and charming. He had the audience’s full attention here. Potter at work in the natural sunlight. 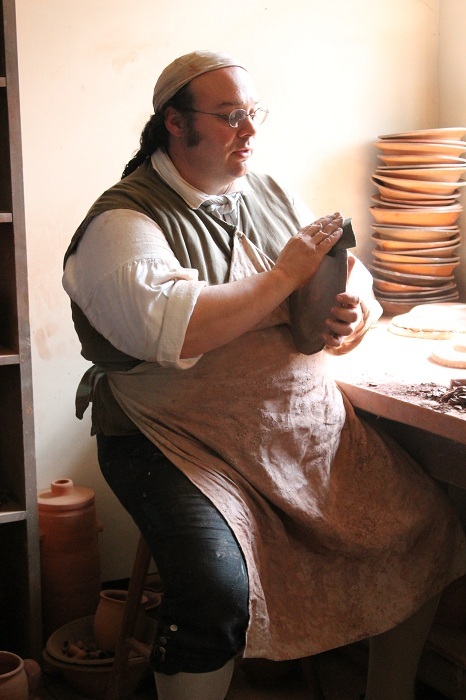 This potter at Old Salem, NC was demonstrating how his work was done in the sunlight coming through the window, just like in colonial times. I loved the expression on his face of focus, pride and dedication to his work. Diwali dancers waiting to perform. I have always enjoyed the young dancers at Diwali Festivals. The children begin at a very early age learning each tiny move of their hands, head, body and feet to perform when they are ready. 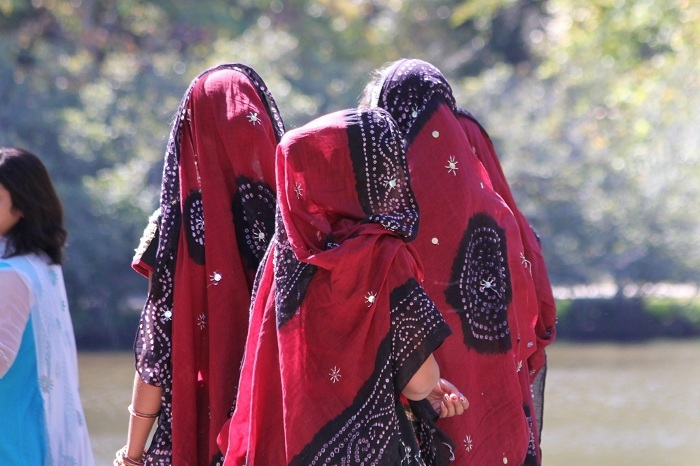 These young ladies were about to perform and had just adjusted their jewelry and turned away. The girlish chatting and laughter had been replaced with last minute nerves as they focused on the dance before them. Amazing belly dancer with a sword.I have long been fascinated by belly dancing. This performer was amazing in her balance, movements and skills. Beautiful Diwali Dancer preparing to dance. This beautiful young lady was having her hair fixed by an older woman, (perhaps her mother). I love the strength and confidence her face expresses and the loving pride in the mother’s(?) face as well. I have tried to find this woman to give her a copy of this because it is one of my favorites and I wish I could thank her. Try observing people sometime. I think you may find a new hobby too. People can be fascinating, enigmatic, and wonderful! I know! I did not realize he had that expression until I saw it on my computer screen. I do enjoy observing people. Thank you, Mother Wintermoon. Glad you enjoyed them!! Nice to meet you, Destiny’s child, a fellow people watcher! They can be quite fascinating.